Flat owner Junainah Sulaiman, 31, was asleep in the bedroom on Tuesday morning (Aug 14) while her two daughters, aged 10 and 11, were having breakfast. Her boyfriend, Mr Mohammad Faizul, 39, was also in the sixth-storey unit at Block 806 Woodlands Street 81, and one of the girls reminded him that his e-scooter was still being charged. When Mr Faizul pulled the e-scooter's plug out of the charging socket, sparks appeared and almost immediately, a fire broke out. Ms Junainah immediately ran into her bedroom with her daughters because she could not see through the smoke in the living room. She shouted for help from the window and asked passers-by downstairs to call 995. The Singapore Civil Defence Force (SCDF) said its officers responded to the fire at 8.48am. By the time SCDF personnel arrived at the scene, the couple had already evacuated the flat after extinguishing the fire using buckets of water. Mr Faizul, a part-time Deliveroo rider, suffered burns on his back and right arm. His two-month-old Ultron V9 e-scooter was purchased off Carousell and he said it had no charging problems prior to the incident. Mr Faizul said he had always charged his e-scooter for close to five hours, but it had been charging for only three hours before the incident. The SCDF said the cause of the fire is under investigation. An elderly couple was taken to hospital for smoke inhalation after a 48th-floor flat in Block 1D of the Pinnacle@Duxton caught fire at about 4.15am on Monday (21 May 2018). Around 50 residents were evacuated. A resident on the 48th floor, Madam Yu, 30, told Lianhe Wanbao that an elderly couple in their 60s lived in the apartment that caught fire. At about 4am, the elderly man had knocked on Madam Yu’s door and told her that a fire had broken out in his home. Madam Yu called the SCDF for help and went out to investigate the incident. She said by then, stifling smoke had filled the corridors, and she could not even see her fingers. Fortunately, the SCDF reached the scene within five minutes and officers instructed the residents to crawl on the floor towards the staircase, which they used to exit the building. According to Madam Yu, the corridor was very hot and the smoke was very thick. They had to depend on the SCDF officers to show us the way using torchlights. Madam Yu and her husband had to crawl to the staircase. Madam Yu revealed that although the building was equipped with a fire alarm, she has never heard it ring once. The fire involved the contents of a bedroom and was extinguished using two water jets. A couple in their 60s believed to be the owners of the affected unit were conscious when conveyed to Singapore General Hospital (SGH). A fire broke out at a coffee shop in Yishun on Wednesday morning (4 April 2018), with a woman taken to hospital for smoke inhalation. The Singapore Civil Defence Force (SCDF) responded to the fire at Block 101, Yishun Avenue 5, at about 5.35am. It extinguished the fire with a water jet. "A woman in her 50s was taken to Khoo Teck Puat Hospital for smoke inhalation," said SCDF. The woman was in a flat above the coffee shop. Two men were hurt after a fire broke out at a coffee shop in Bishan on Monday night (2 Apr 2018). The Singapore Civil Defence Force (SCDF) said it was alerted at 11.06pm to the incident at Block 514A Bishan Street 13 and dispatched resources to the location. The fire involved contents at the coffee shop and was extinguished using two water jets, SCDF said. Fifteen people were taken to hospital after a yacht caught fire at the One degree 15 Marina in Sentosa Cove on Thursday (22 Mar 2018). Three, including an infant, were taken to Singapore General Hospital (SGH) for burn injuries. The other 12 were taken to SGH and National University Hospital for smoke inhalation. The Singapore Civil Defence Force (SCDF) said that it was alerted to the fire at 4.30pm. The yacht was berthed at a fuel dock at the marina. Members of the in-house emergency response team tackled the burning yacht using three hosereels, said SCDF. Two waterjets were used to extinguish the fire after they arrived. National para-archer Alex Lim, 24, was sent to the hospital after items placed in the common corridor, including a motorised wheelchair, caught fire along the common corridor of his flat in North Bridge Road on Wednesday (21 March 2018). The fire, which happened at the seventh storey of Block 8 at around 9.15am. When the fire occurred, neighbours were told to evacuate, while Mr Lim was still inside the unit. Mr Lim, who was diagnosed with spina bifida at birth and gets around with the aid of crutches, was getting ready to leave the flat when he noticed smoke entering the unit. Mr Lim, who works part-time at a call centre, then tried to escape by using a wet towel to cover his face, but was trapped inside the unit. He was later rescued by Singapore Civil Defence Force officers. Mr Lim was taken to Tan Tock Seng Hospital where he was treated for smoke inhalation. An SCDF spokesman said officers responded to a fire involving items placed along a corridor. According to a neighbour quoted by Shin Min Daily News, there were two wheelchairs placed in the common corridor, outside the owner's unit. A fire broke out in an industrial warehouse in Kranji early Thursday (22 March 2018). The warehouse is operated by waste management firm Wah & Hua, which provides services such as waste collection and disposal. A blaze involving an oil storage tank on Pulau Busing, off the south-western coast of Singapore, was finally extinguished on Tuesday night (March 20) after six hours of what the Singapore Civil Defence Force (SCDF) described it as "intense firefighting operations". There were no reported casualties.SCDF had earlier described the incident as a "massive operation" involving 128 personnel and 31 firefighting and support vehicles. A fire broke out on the tenth floor of Block 509 Choa Chu Kang Street 51 on Wednesday morning (21 Mar 2018). The fire, which involved contents of a kitchen, was put out using one compressed air foam backpack and one water jet, SCDF said. There were no reported injuries. The fire was put out by 9am. 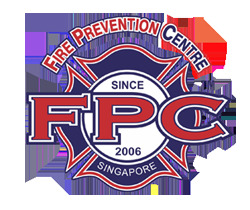 A fire broke out on Saturday morning (17 Mar 2018) at Leedon Residence, a condominium at 20 Leedon Heights near Farrer Road. The fire started in the master bedroom at a second-floor unit in Block 24. No one was injured in the fire. The fire sent plumes of smoke up several storeys of the block. The blaze was put out by firefighters with a waterjet, two compressed air foam backpacks and two hose reels in the condominium. The cause of the fire is still under investigation. According to stall owners in the same hawker centre, the fire started at the duck and chicken rice stall. Singapore Civil Defence Force (SCDF) said it responded to the fire incident at 89 Circuit Road at about 2.50am. There were no reported injuries. A lorry caught fire along Changi North Crescent on Friday (Mar 2). The front of the lorry engulfed in flames and thick smoke billowing from the lorry. According to SCDF, they were alerted to the incident at around 2pm and eventually extinguished the fire using two water jets. No injuries were reported and the cause of the fire is under investigation, added SCDF. A fire broke out in a 15th-storey unit at Waterloo Apartments in the Bugis area on Wednesday (14 Feb 2018) night. According to SCDF, they were alerted to the incident at around 9.25pm. Three occupants in the unit at the time of the incident evacuated before the authorities arrived, said the Singapore Civil Defence Force (SCDF). One of them was taken to the Singapore General Hospital due to smoke inhalation. The fire involved the contents of a bedroom but the cause of the fire is under investigation, said SCDF. A fire broke out in a Housing Board flat at Tampines Street 83 on Saturday afternoon (20 Jan 2018), prompting 40 residents in the block to be evacuated. The Singapore Civil Defence Force said it was alerted to the incident at Block 867A at about 5.30pm, adding that the blaze was extinguished using two water jets. Residents of the second-floor maisonette unit, along with 40 others in the block, had evacuated before officers arrived. No injuries were reported. A fire broke out on the second-floor flat in Block 147, Serangoon North Ave 1 on Thursday (18 Jan 2018) evening, causing a power outage and forcing nearly 70 residents to evacuate their homes. One woman in her 80s and another in her 30s, both from the neighbouring units, were taken to Tan Tock Seng Hospital after complaining of breathlessness. The fire originated from one of the bedrooms.